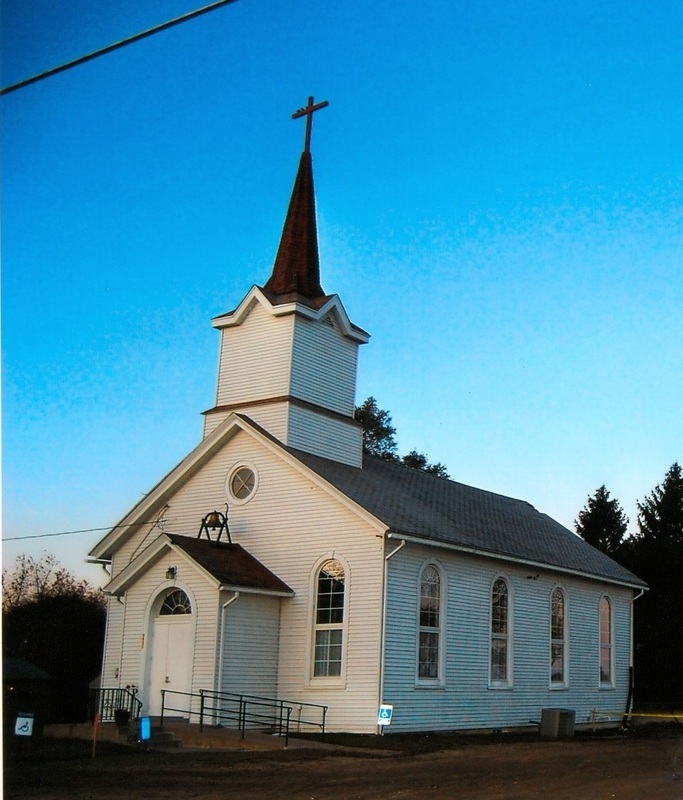 Built in 1869, Bloomfield United Methodist Church is believed to be the oldest Methodist church in Polk County still worshiping in its original building. In 1869, only four years after the close of the Civil War and the assassination of President Abraham Lincoln, a small group of residents in the southeast area of Bloomfield Township saw a need for a house of worship. In the early part of the year, six men (Elijah Jones, Marcus Miller, William Campfield, Mordica Means, Jesse Adams, and Henry Moore) sat down to decide where they could purchase a piece of land and build the Bloomfield Methodist Episcopal Church. By Christmas, the church was completed. The dedication of the church was led by presiding elder Reverend Eckles. The first minister was Reverend Leo Wright of Norwalk. In 1873, Reverend Thomas Berry was appointed pastor. The well-liked man became president of Simpson College. In 1913, the well-known and well-loved Evangelist Charles R. Goff held a revival meeting and a number of people were converted to Christianity. Through the year, Bloomfield United Methodist Church has reached out to the people of the community bringing them words of the Gospel and them to come to Christ. The church has been served by 36 pastors. It is believed the Bloomfield United Methodist Church is the oldest Methodist church in Polk County still worshipping in its original building. In 2010, Bloomfield United Methodist Church completed the first addition to the building since it was originally constructed in 1869. The addition includes a fellowship hall, two classrooms, a nursery, kitchen, restrooms, and an office. Along with the new addition, the current sanctuary has been remodeled to include additional seating. For the first time in its history, the church is completely handicapped accessible. ​View photos of the renovation.